ARES in Loudoun County, Virginia has a storied past and long history of service to our local community. Steve was granted his Extra license by the FCC on 2018. His professional career includes providing IT professional services to U.S. government offices in the DC Metro area. 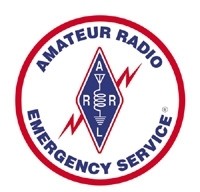 Steve recently joined the Loudoun Amateur Radio Group (LARG) and is serving as Vice President. He has been supporting other volunteer groups by building WordPress websites, sending Constant Contact newsletters, polling with Survey Monkey and setting up Social Media presence. Those groups include Hunter Mill Defense League. Greats Falls Crossing HOA and Veterans Moving Forward who supply service dogs to veterans in need. Steve, who moved to the area in 1985, lives with his wife Randi and is often visited by his son Jack and daughter Kate who live nearby. Steve established the Men's Book and Bourbon Club in 2014. Jim received his amateur radio operator license in 2017 and an upgrade to General class during the same year. He is a life-long resident of Northern Virginia having graduated grade school in the Fairfax County Public School system. He earned a Bachelor of Science degree in Computer Science from George Mason University. He has more than 35 years experience building and writing software for systems controlled by microprocessors and personal computers. Bryan Stephens, KG4UPR, has held an Extra class amateur radio license for 15 years. Bryan earned a Bachelor of Science in Electrical Engineering from the University of Texas, and has been a licensed Professional Engineer since 1994. He has over 30 years experience as an engineer and program manager, and is currently an Emergency Communications consultant to the Department of Homeland Security. In addition to amateur radio interests, Bryan is an avid amateur astronomer and enjoys following archaeology of the ancient Near East. John Westerman, W5ODJ, has been a licensed ham since the age of 11. For the last 40+ years John has dedicated a sizable portion of his time to the "hobby". His professional career has largely focused on telecommunications, radio in particular. Most recently his professional time is spent securing large enterprise cyber assets. John enjoys daily interaction of one kind or another with the radio hobby. You can find more information on his station here. John has served as secretary of the Loudoun Amateur Radio Group for the past 4 years. He has lived in Loudoun County for 18 years and been a club member from about 14 of those years.